Cat. 2 & 3: Fits wide variety of tractors. 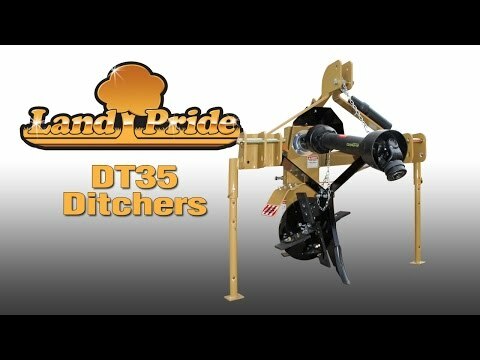 Quick-Hitch adaptable: Quickly and easily attach ditcher to tractor with one person. Formed tubing hitch: Formed tubing with 0.25 in. wall offers greater strength vs. plate steel hitch. 540 & 1000 RPM models: Allows fitting larger tractors that are 1000 RPM only. Driveline available in 1.38 or 1.75 in. 20 in. Impeller: 20 in. 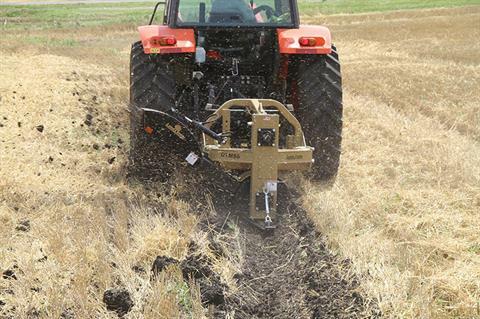 Impeller digs a nice size drainage or irrigation ditch up to 10" deep with each pass. 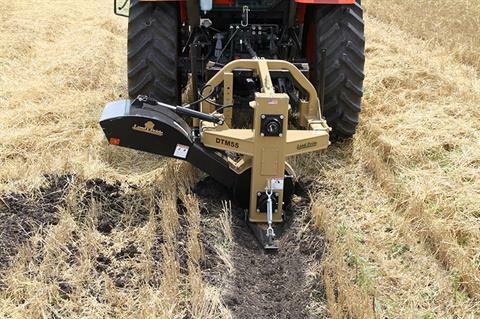 6 Blades on impeller: 6 Blades make digging easier and smoother than fewer blades. 0.38 in. Hardened blades Heavy-duty blades made out of AR400 material for long life. Blades can be rotated when worn and are replaceable: Each blade has four cutting edges to extend blade life. When one edge is worn, rotate blade 90o to a new cutting edge. Replace blades when all four cutting edges are worn out. 0.38 in. Hardened cutting edge: Impeller blades feature a replaceable hardened edge to take on rough and rocky conditions. Easier and more cost effective to replace edge vs. using hard faced material on impeller. Double 80 chain: Double 80, high tensile roller chain keeps stretching to a minimum and has the strength needed to take shock loads posed by extreme digging conditions. Spring loaded chain idler: Chain idler is spring loaded to keep constant tension on chain during tough digging conditions, which also makes for smoother digging operations. Hardened tooth sprockets: Hardened tooth sprockets have the strength needed to take the load of the double 80 chain and rigorous digging conditions. 2 Greasable flange bearings: Input and output shafts feature 2.25 in. ID ball type bearings. Ball bearings offer smooth andquiet operation. Bearings are greasable to keep properly lubricated and purge dirt out. 4-Bolt cast iron flanges: Bearings are housed in a heavy-duty 4-bolt cast iron flange. Heavy-duty casting offers full protection under extreme use. Cat. 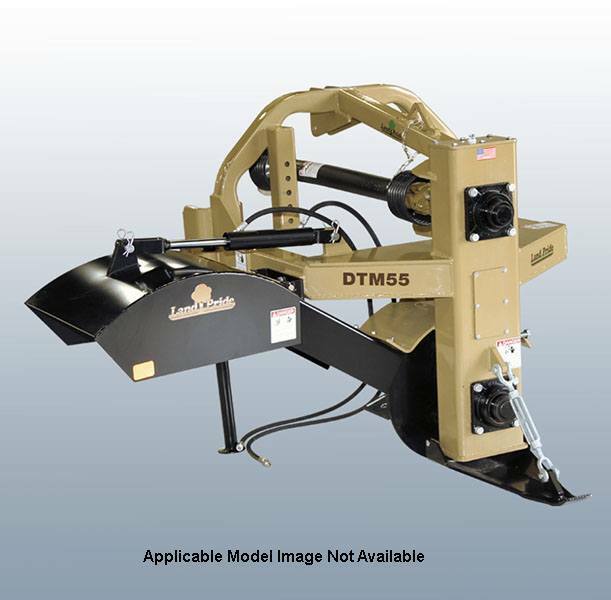 5 Shear-bolt driveline: Heavy-duty driveline with shear-bolt protects the unit when obstructions are encountered. Depth controlling skid shoe (optional): Replaceable 0.38 thick skid shoe for long life and uniform depth control. Material control chute (optional): Material control chute allows the operator to place material just outside the tractor path, or as far away as the ditcher will throw it. Control the throwing distance by raising or lowering the chute with either a 2 x 8 in. hydraulic cylinder or ratchet jack. Depth control wheel (optional): 16.5 x 6.50-8 Pneumatic gauge wheel keeps digging depth constant from just skimming the ground to 10 in. deep. Ripper shank (optional): For hard packed soils, the Shank rips up the ground just ahead of the impeller, allowing the impeller to take in the soil vs. bouncing on hard packed soil. Shank has 3 height adjustments from cutting edge depth to 5 in. below cutting edge. Without options - 900 lb.